Children in grades 1–5 are invited to attend a celebration of The Rev. 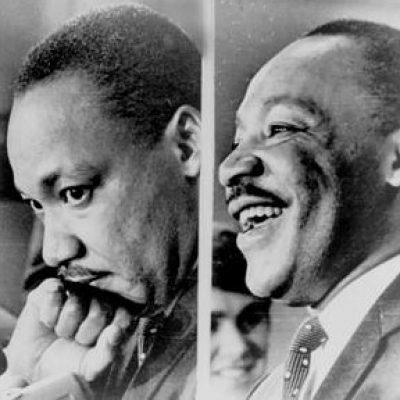 Dr. Martin Luther King Jr.’s birthday at St. John’s Episcopal Church, 321 W. Chestnut Street, Lancaster, Monday, Jan. 21, from 9:30 a.m-3 p.m. Over the course of the day, students will explore the question, “What’s Right,” through games, discussion, stories, movement and art. Chris Fitz from Advoz: Mediation & Restorative Practices and his rabbit, will offer a special presentation about making peace. Students will have the opportunity to express themselves via art, music and song, as well as explore centering and focusing through yoga. The day will end with a presentation of mini-murals students create during the workshops, and a moment of quiet reflection and prayer for the continuation of Dr. King’s work. The Kids’ Camp is an exciting, high-energy day, and children leave feeling they’ve contributed to keeping Dr. King’s legacy alive. There is no fee, and lunch will be provided. Please pre-register by Jan. 18 by calling the St. John’s church office at 717-299-1188.